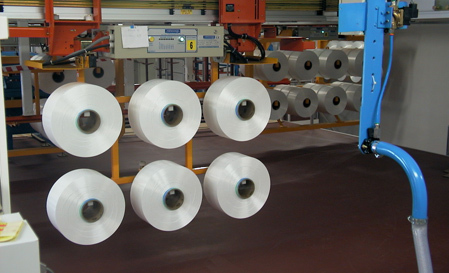 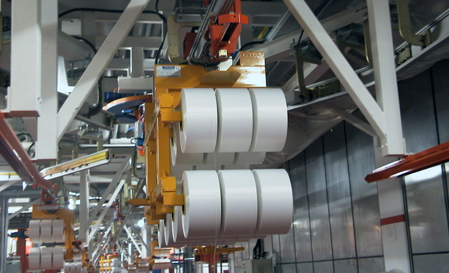 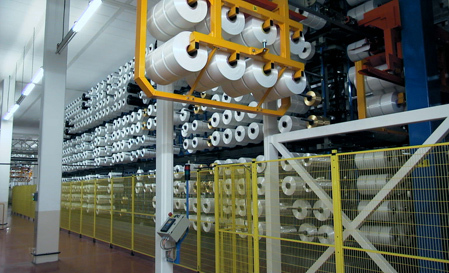 Salmoiraghi was the first to perceive and implement these highly efficient product-handling solutions. 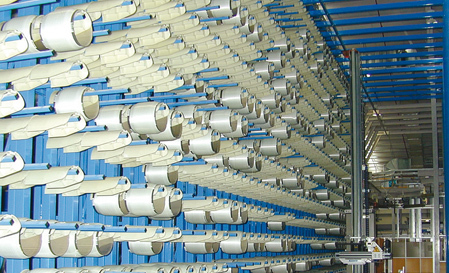 Our long-standing experience allows offering customised and highly reliable solutions with no Client risk involved. 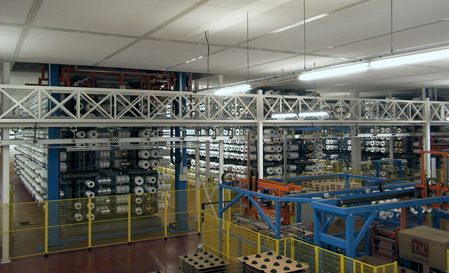 The Salmoiraghi overhead transport and temporary storage systems completely eliminate the problems caused by the clutter of traditional pin carts in the winding room – namely product damage, handling errors and considerable space requirements. 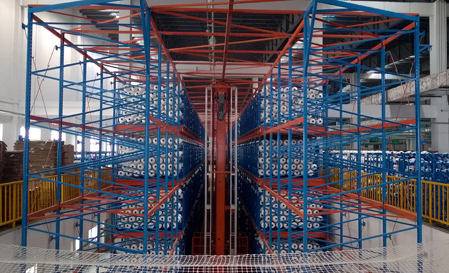 The complete elimination of manual handling leads to an immediate and significant product quality improvement. 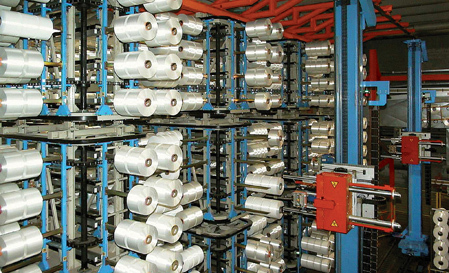 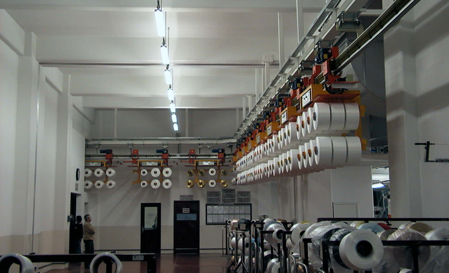 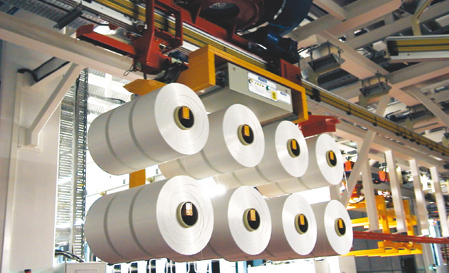 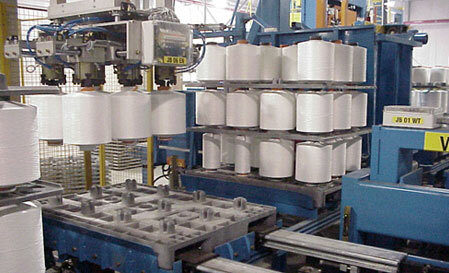 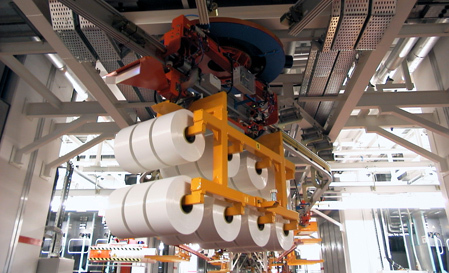 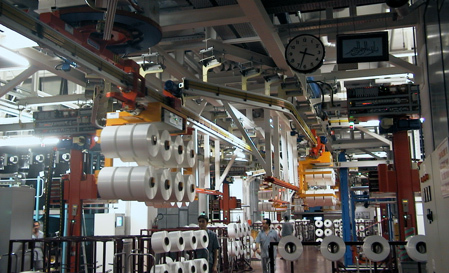 The powerful computerised supervision system offers real-time data processing and reporting facilities for optimised bobbin sorting and tracking, avoidance of product lot intermixing, and comprehensive inventory control.